Do you have iPads in your classroom? I have had them in my classroom for the last 3 years! 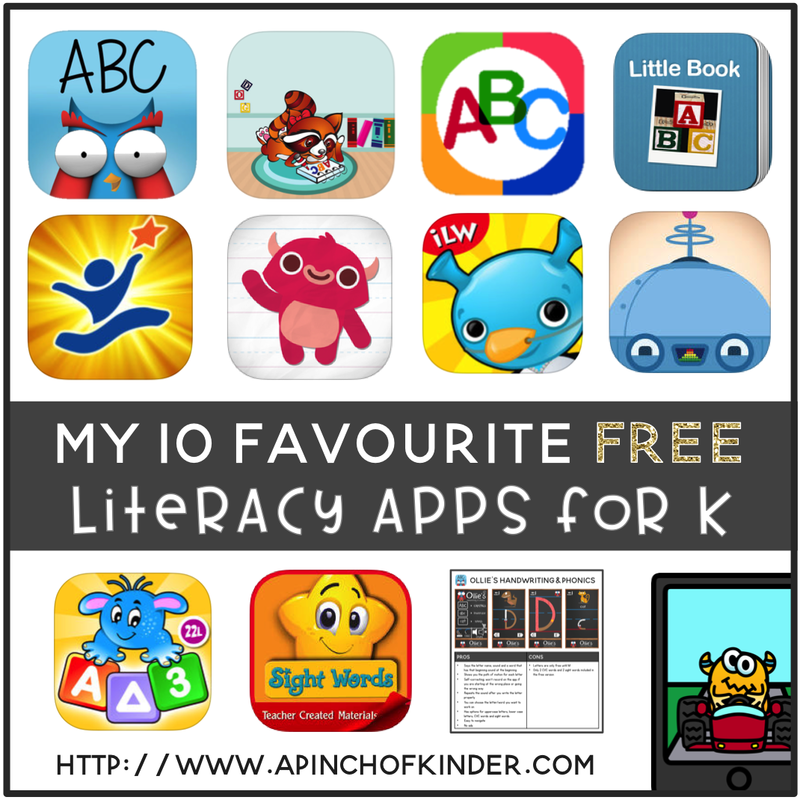 I'm often asked which apps I recommend, so I decided to compile my 10 favourite free literacy apps in this blog post! This is definetly my favourite printing app. It's simple to navigate. It has options for uppercase letters, lowercase letters and words. Each letter starts with the letter name, letter sound and a word with that letter as a beginning sound. For example for D it says D, /d/, dinosaur. Then Ollie the owl will show the kids the path of motion. 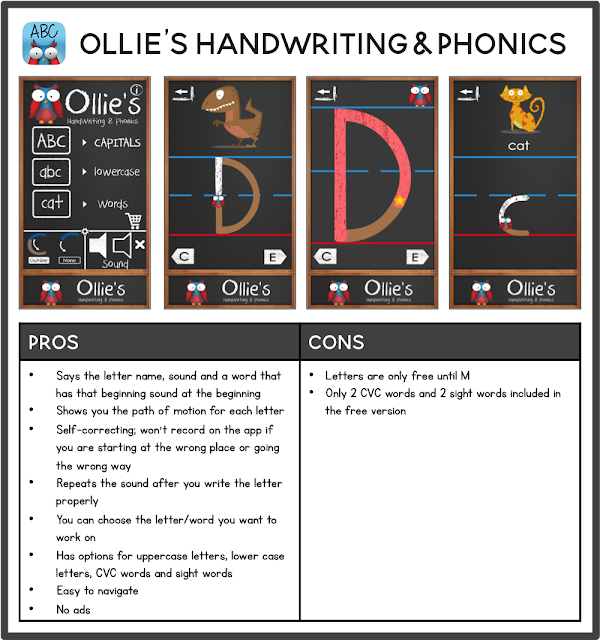 After the kids watch Ollie they can trace the letter with their finger. The star is there to show them where to start. One of the things I love about this app is that it won't let you go the wrong way or start anywhere other than the star. This definitely helps them learn correct letter formation and not get into any bad habits! 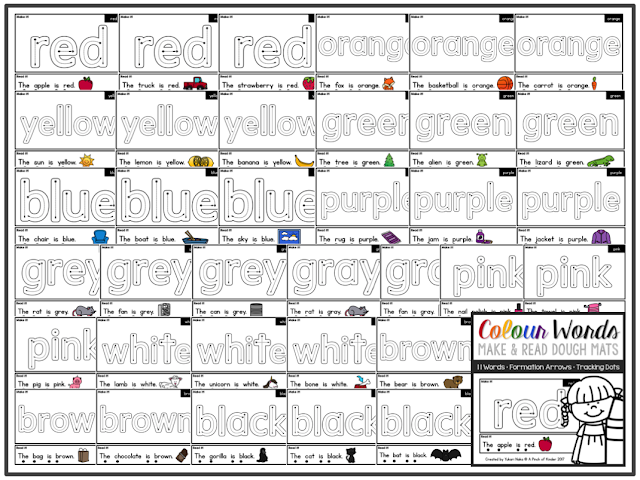 There is even a words section that includes CVC words and sight words! 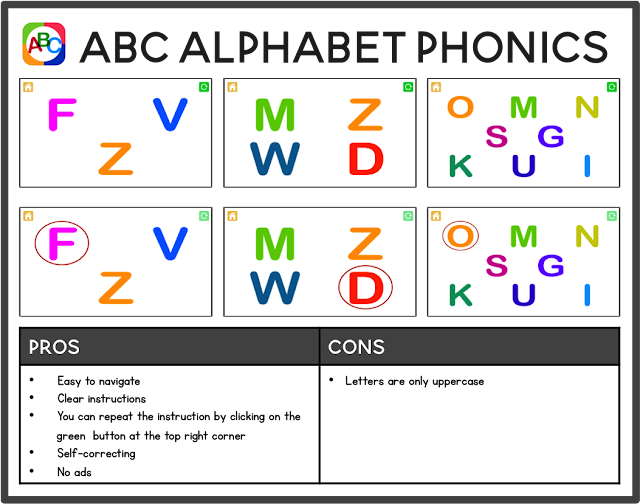 The draw back is that the letters are only free until M and only 2 cvc words and sight words are available in the free version. But at only $3.99 for the full version I think the full version is still a good deal! If you want a free app with all of the letters and numbers 1-9 this is the one for you! 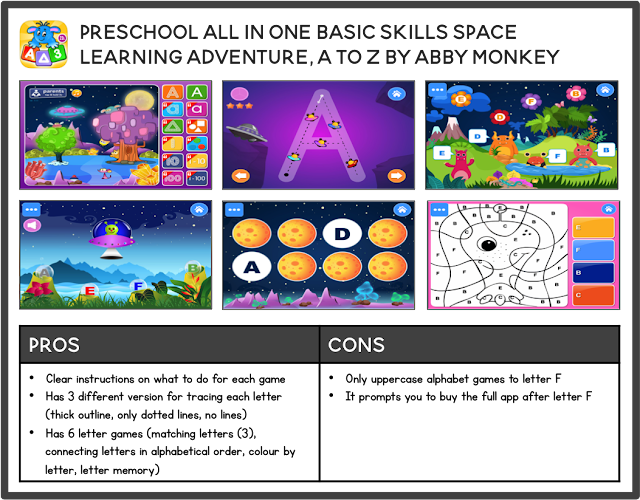 The interface is simple to navigate, there are no ads for the kids to accidentally click on, the app says the letter or number name before it starts showing the path of motion and the trains/worms show the kids the path of motion before they start practicing. The cons are there isn't really any instructions on what to do (although it's pretty self-explanatory) and the biggest drawback is that it doesn't correct you when you don't follow the correct path of motion. You also can't pick which letter or number to practice, it will always start at the first letter or number and go through chronologically. But for a fully free app it has a lot of great features! 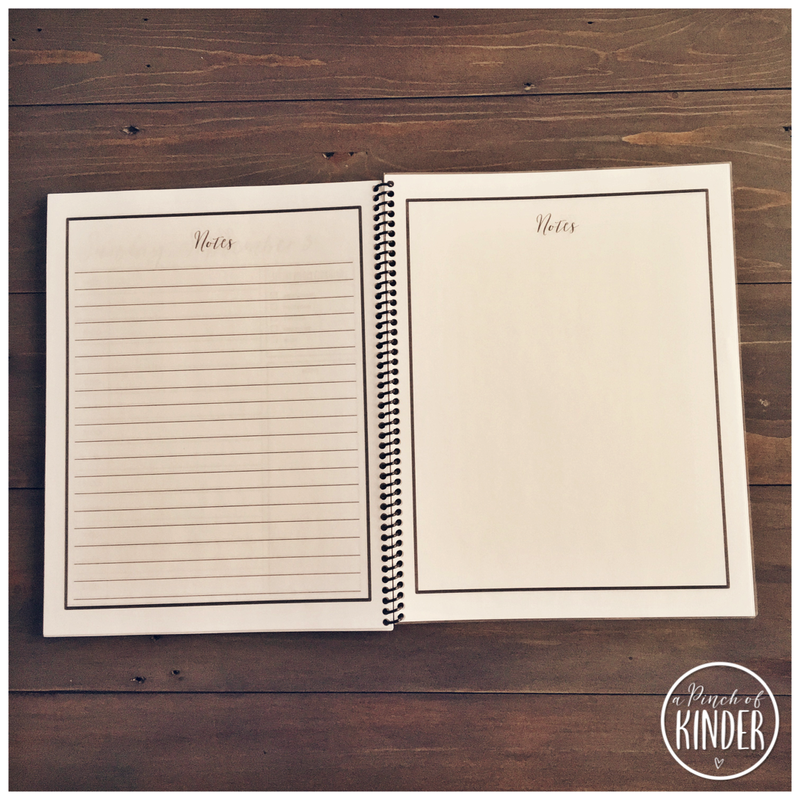 This is a good one for reinforcing letter identification! 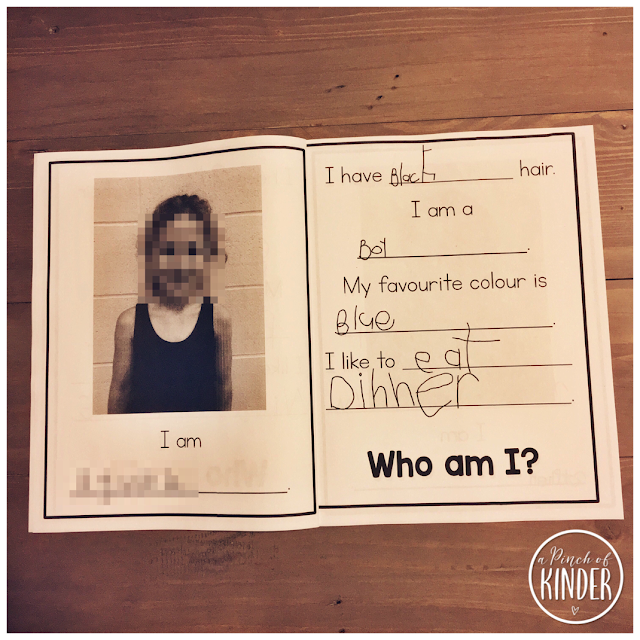 It starts with identifying a letter and they give you three choices. For example they say "Touch the F". If you click on any other letter then F it will give you a "ba-dum" sound. If you click on F it will say "awesome!" and move you to the next question. It progressively gets harder with more and more letters on the screen. If you didn't hear the instructions the first time you can click on the little green button at the top right corner and it will say it for you again. The only con I could think of is that the letters only come in uppercase! Here is another great one for letter identification and beginning reading! There are 3 options. "Read to me" will read the words to the students as it highlights each word. "Read myself" will allow the kids to read it by themselves, but if they get stuck they can tap on the word and the app will read it to them. "Autoplay" runs through the whole alphabet without having to click on the arrow each time. The app also allows you to tap on the large coloured letters on the left and it will say the letter name for you. It also allows you to tap on the picture and the app will say the word for you and the word will pop up beside the picture! The only cons are the letters are only lowercase and it is a little difficult to navigate back to the menu (you kind of have to swipe down diagonally to get the home button to pop up at the top). 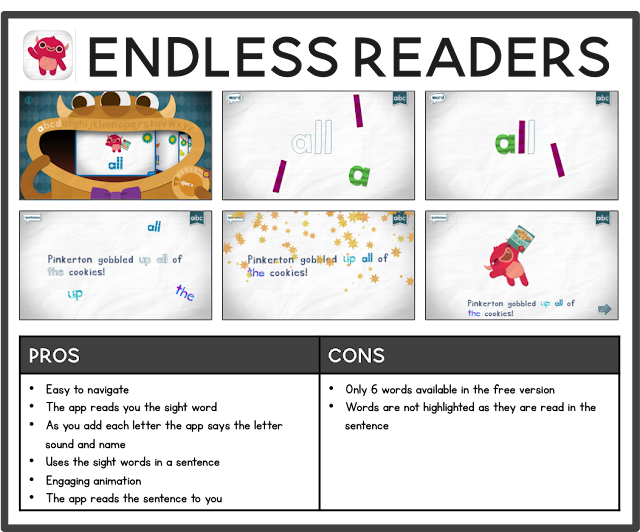 Other than that it is a great app for beginning readers! Here is another very comprehensive app! This one is great because it practices a variety of skills. For your pre-readers you can start them on the "Big Reading Show" option where they practice letter identification and letter-sound correspondance. Each step goes through a routine. First they watch letter videos of letters that make up the word family they will be working on. Then they start by adding a letter to the word family and learning each word. Then they work on pulling the letter to the word family and blending each word. Then the app reads them a word from the word family and they need to tap on the correct word (3 choices are given). After the word work portion is done, the final step is to read a book with the word family words in it. They can read it themselves or click on the yellow speech bubble and have the app read it for them as it highlights the words being read. The drawback is that only Step 1 is free and after playing it you may want to purchase it.. but the paid app is a yearly or lifetime subscription and it is quite pricey at $39.99/$49.99 USD. The free portion of the app though is still good enough to warrant a download! This is another good one for exposing students to a variety of literacy skills. Students choose a word (in the pictures below the word is "all"), are read the sight word by the app and then the app scrambles the letters. When you tap and drag the letter to put them on the word the letter will say the sound it makes and when it is placed on the word it will say the letter name. After you build the focus word, it will ask you to put a couple sight words in the correct place in a sentence. 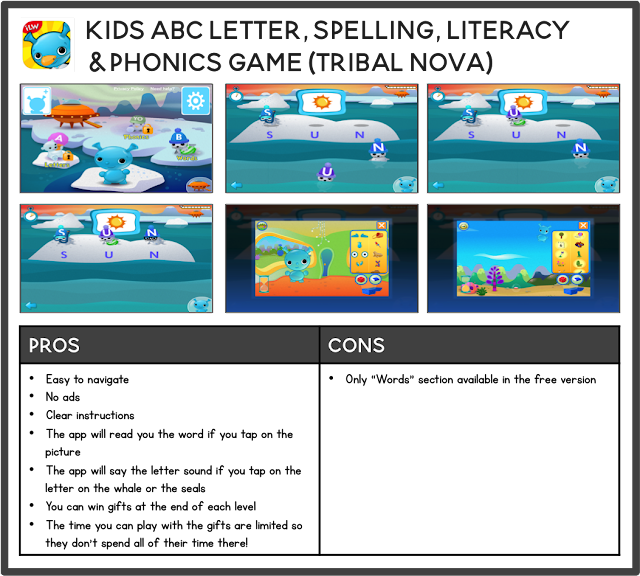 The app will read the sight word when you drag it to the correct place and when you place it on the outline. Once you drag all of the sight words to the correct place the app will read the sentence for you and give you a short animation to go with it! My kids find the animation in this app engaging and it's often pretty popular! The only problem is the free version only includes 6 words so they can run out of options pretty fast. Here is a good app for practicing CVC words! The kids will get a picture of a CVC word above the whale. They have to spell the word on the whale by dragging the right seal to the correct blowhole. The great thing about this app is that they tell you clear directions throughout. You can tap on the picture and it will tell you what it is. If you tap on the letters on the whale it will tell you the sound it makes. If you tap on the seals it will tell you the sound the letter on the seal makes. It is also self-correcting so if you drag the seal on to the wrong blowhole it won't let you and it will make a soft sound indicating that that isn't the right sound. Once you have the correct letters in place the app will read you each letter sound again and say the word again. Great modelling for segmenting and blending sounds! The other great things about this app is that although they have a portion where you can play with things they have earned after every few questions, it is timed! That way they won't spend forever dressing up the alien or making him bounce around the field! Once the time runs out it automatically moves them to the next question. 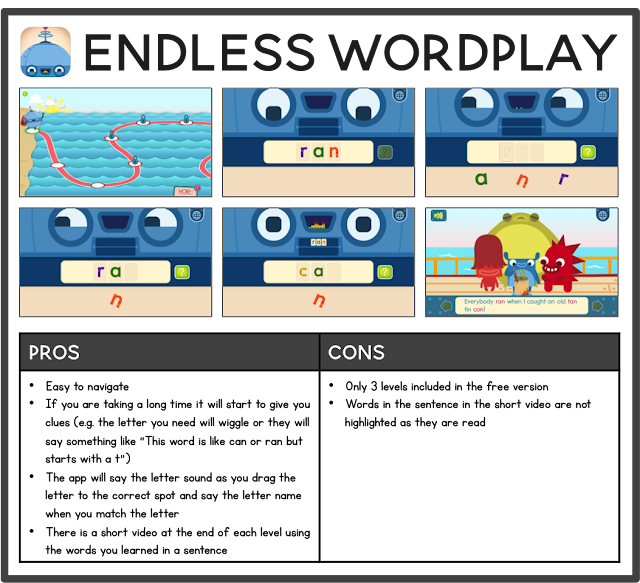 Endless word play is another good one for CVC words and word families! Each level consists of 3 words from the same word family. The first one has a faint outline to support students in placing the correct letter in the correct place. Then the second and third do not have the outline. However, the app will give you clues if they are noticing you are making mistakes or you are taking a long time! After building the three words the app will take you to a short animated video where they show you the word used in a sentence with a corresponding video! The drawback is that there are only 3 levels included in the free version so the students will go through this one pretty fast. They can always go back and play the levels they already played though! This is a great app with lots of options for games! Unfortunately the free version only comes with uppercase letters and the first 6 letters of the alphabet... but it is a good app none the less! The tracing portion has the students practice printing each letter three times and it gets progressively harder (thick outline with dotted lines, only dotted lines, no dotted lines). 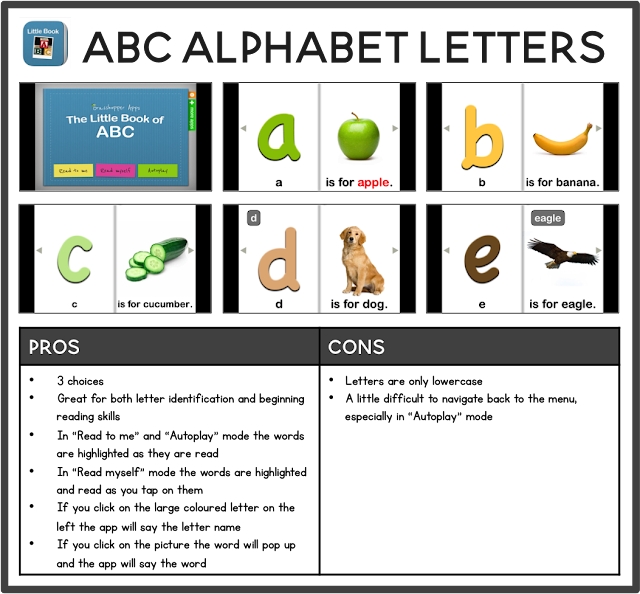 The 6 mini games all focus on letter identification. 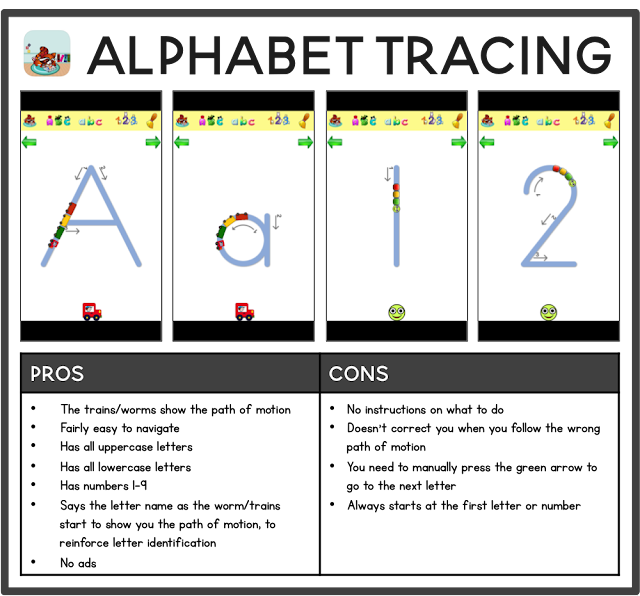 This app is good for your students who can copy letters and are working on learning simple sight words. 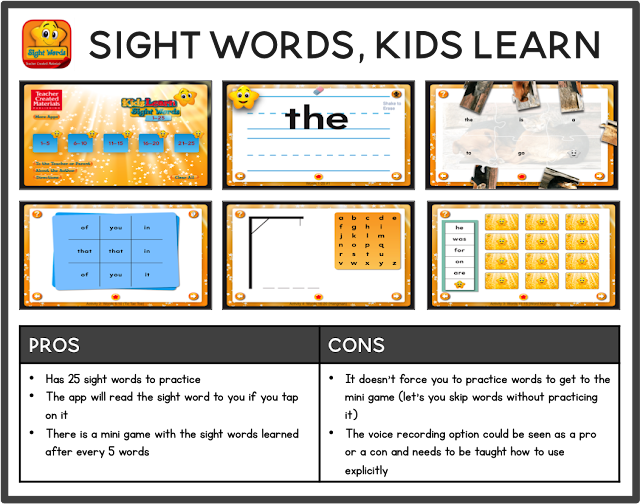 The app has 25 sight words (which is pretty generous for a free app!). The app will read the word to you if you tap on it. Then the kids are prompted to write the word on the line below. After every 5 words they get a mini game to practice the words they have learned. There are a few drawbacks to this app though. First, it doesn't force the kids to practice every sight words. You can easily skip through each word and just play the mini games. Also there is a voice recording option which can be good if you're students use it appropriately (you can have the students record themselves saying the sight word on each page, for example) but often times in my class they just end up saying whatever they want into the microphone, listening it back repeatedly and get distracted from practicing the sight words. However there is an option to turn the voice recording option off completely as well. 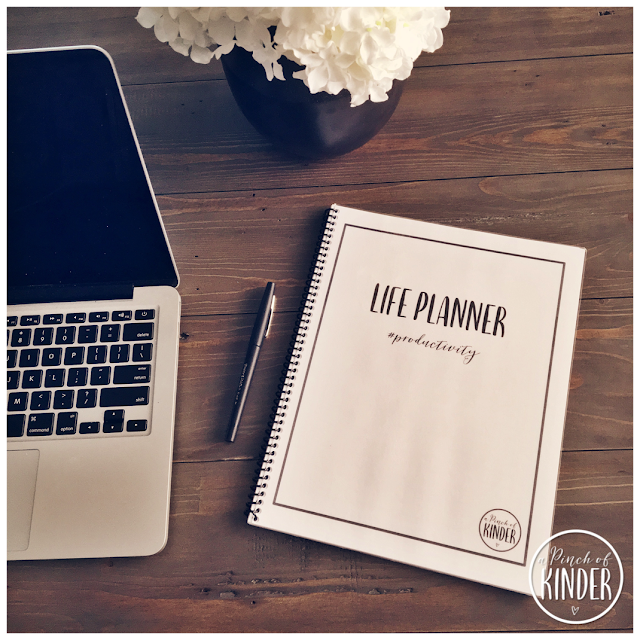 This app isn't free but I wanted to include it because my kids absolutely were OBSESSED with it this past year and the desktop version is free! 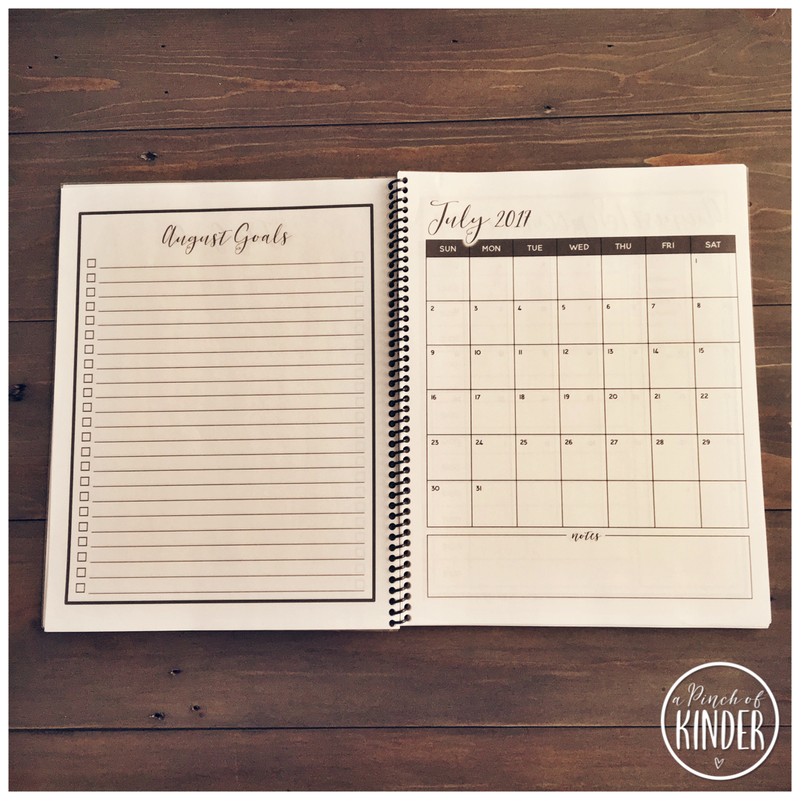 The great thing about this app is that you can create a log-in for each student and the app will track each student's progress, so that they are working on a skill that is just right for them all of the time. The app will also repeat skills that they have not mastered until it is mastered before they move them to the next level. As a teacher you can also go online and see how much they have played (time), which grapheme they are currently playing for, which ones they have practiced and their competence level for each! I grabbed this app for my school iPads when they were offering it for free for a day in the spring. If you don't want to pay for the app, the game is always free on a desktop computer too! 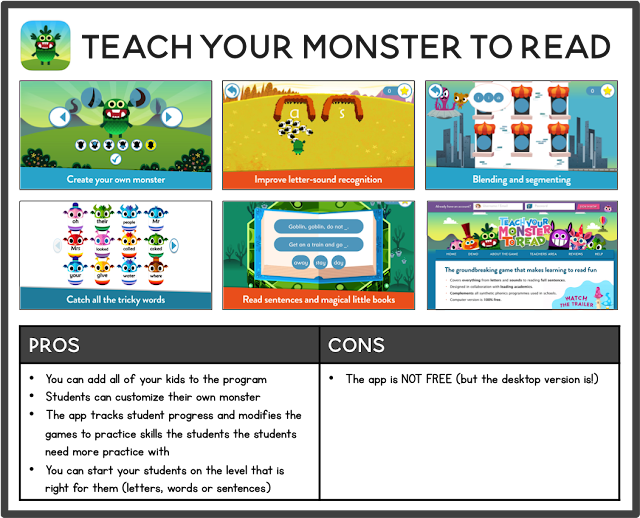 Just got to https://www.teachyourmonstertoread.com to learn more! I hope this is helpful, especially if it's your first time having iPads in the classroom and need some apps to put on the iPads for your kiddos to use at centres! 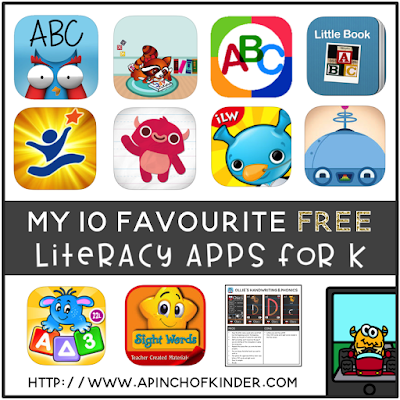 What are your favourite free literacy apps for Kindergarten? Happy summer! I am soooo excited for summer to finally be here! The weather is beautiful and I have so many things I want to check off my to do list! I'm sharing a couple things I made today to either check things off my to-do list or to help me keep me on track and focused with my to-do list! Last year I shared my 2016 Summer Life Planner (you can see it by clicking here) and it really helped me map out, prioritize and stay on track with my summer goals and to-do lists so I knew I had to make an updated version! And then I'm going to break them up in to July and August goals to pace myself out. I also have a July and August/beginning of September calendar to write down important dates I need to remember. At the end I added a couple of extra lined and blank pages for miscellaneous notes. I printed the pages at home (the front and back covers on cardstock & laminated, the inside pages on regular copy paper) and had it coil bound at Staples. I'm determined to finish up some of the projects I started during the year but didn't get a chance to finish and post because I was so busy. Here is one of them! 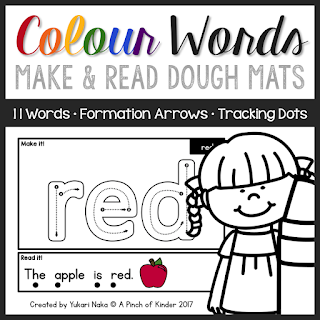 I loved my sight word play dough mats I made earlier this year and knew I wanted to make them for colour words too. So I finally sat down and got them done this morning! 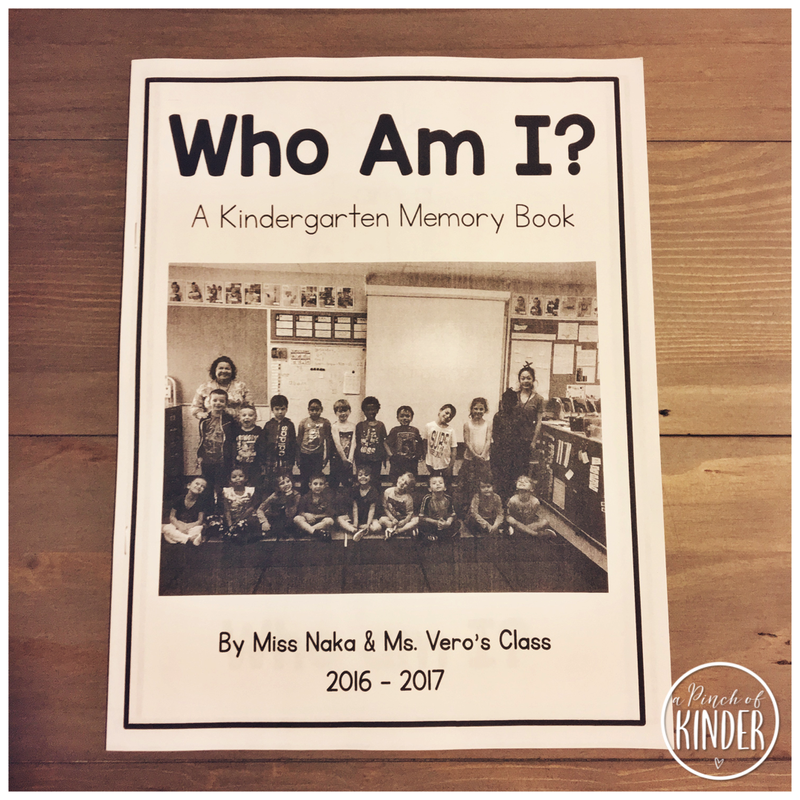 The pictures below are of this year's memory book. 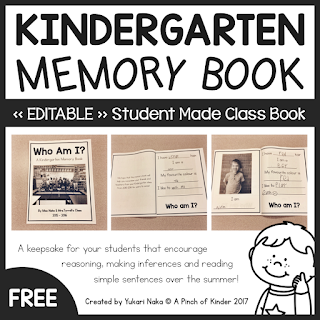 You can see last year's memory book here. 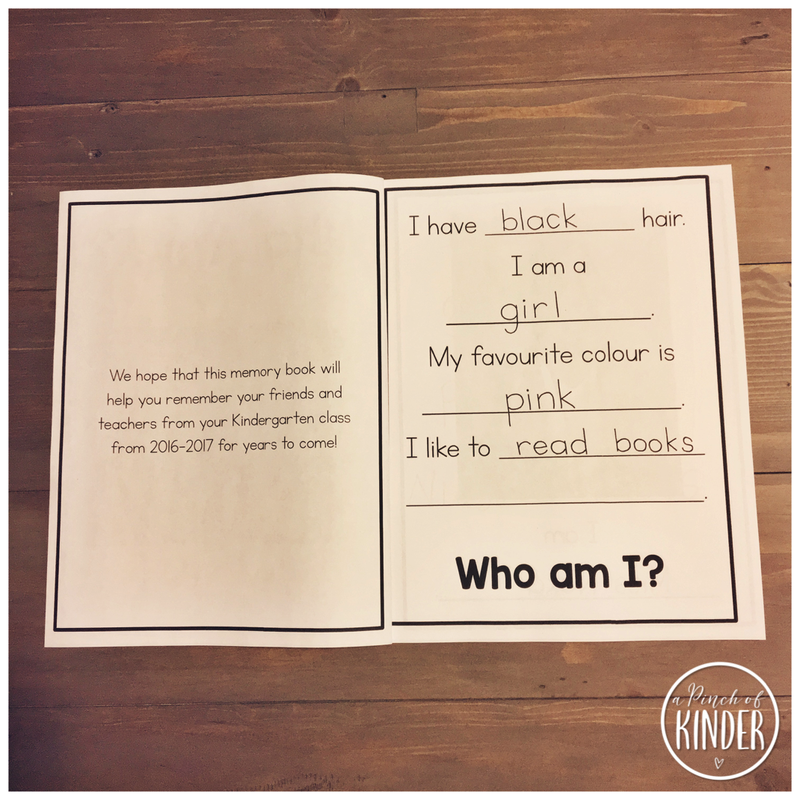 Then a page to introduce the book on the inside cover and a page for each child. I model how to read the book before sending it home with them. 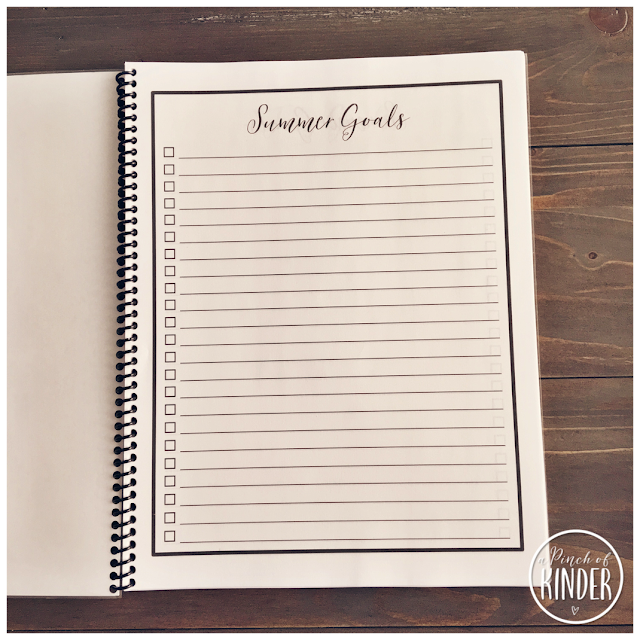 I've had lots of requests to share the template for these so I have uploaded a FREE editable file for you to my TPT store. Click here or on the image below to grab your copy! 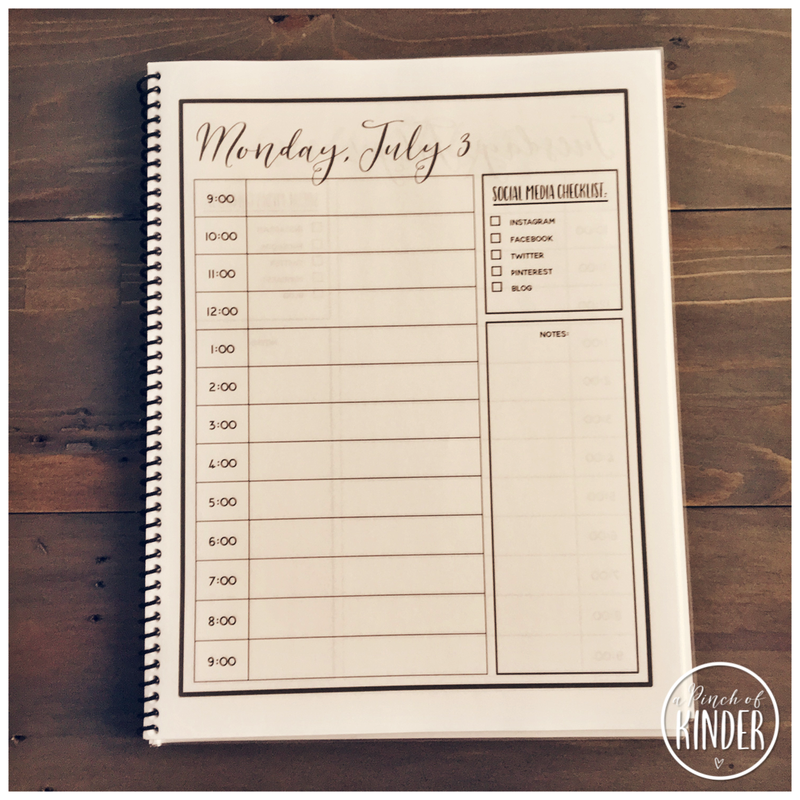 You can read more "Monday Made It" posts by visiting Tara's link up over at 4th Grade Frolics! Click on the image below if you are interested in seeing more! 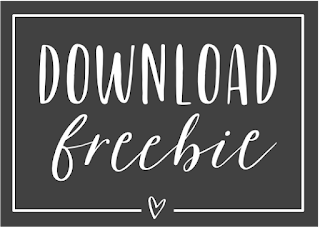 I hope you are able to use the freebies in this post!